Did you know that parkour is for everyone? While it’s seen as a young person extreme sport, it can instead be a personal journey of self improvement. Try us out. Improve yourself through movement and we’ll help you explore mobility, technique, strength building, and weight loss. We currently do not have any 18+ only classes. Instead, join us for any all ages class! 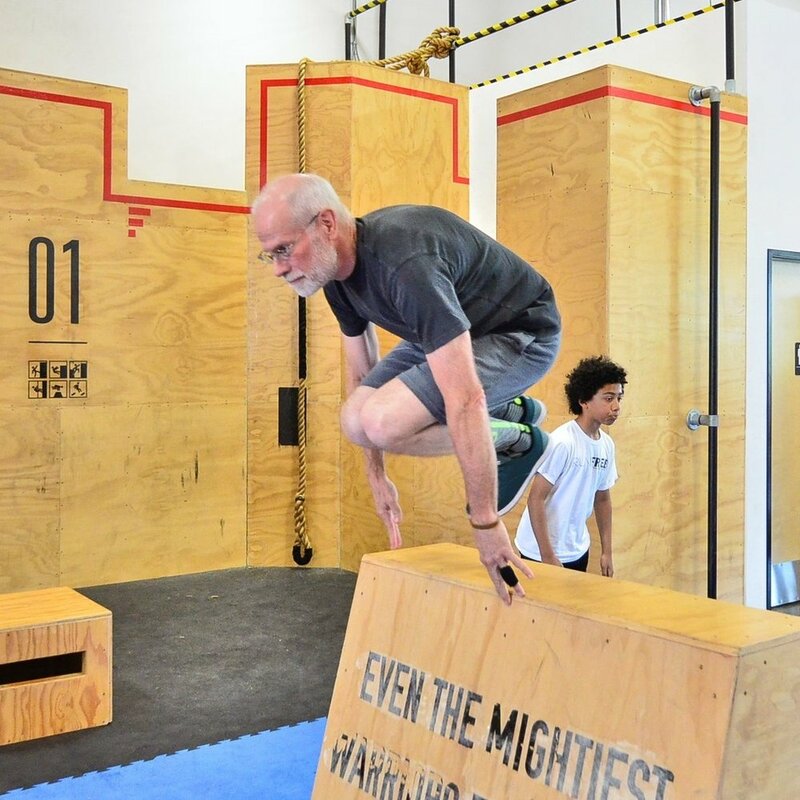 Adults may start at any Beginner Parkour I or Beginner Parkour II class. Interested in an 18+ only class? You may start your own class (parkour, flips, strength, stretch, endurance, etc…) if you bring a group of 6 or more.